At Kallo, they don’t think eating sensibly has to mean saying no to the things you love. Life is about what you can, not what you can’t have – and eating the right way is about loving food and having a nutritious, balanced diet. 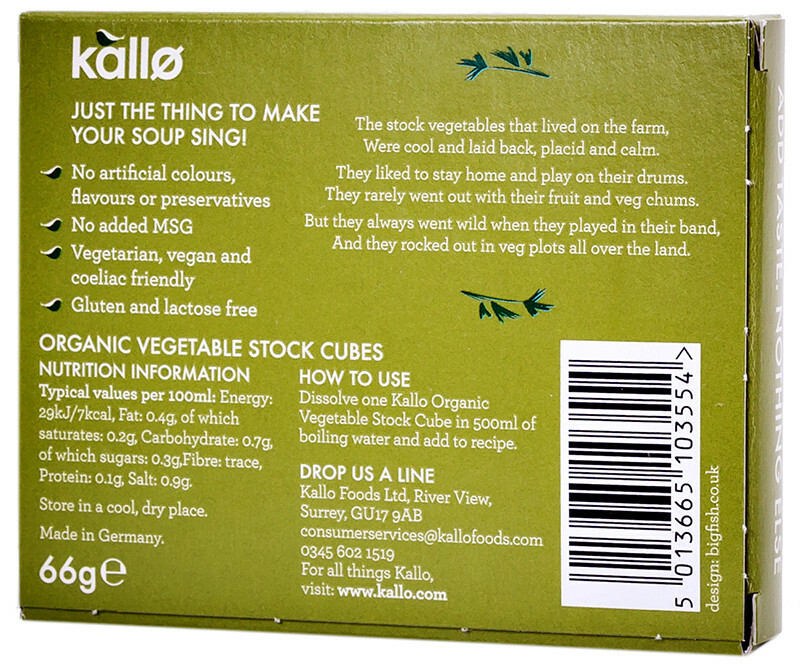 That’s why they’ve reinvented the standard stock cube. 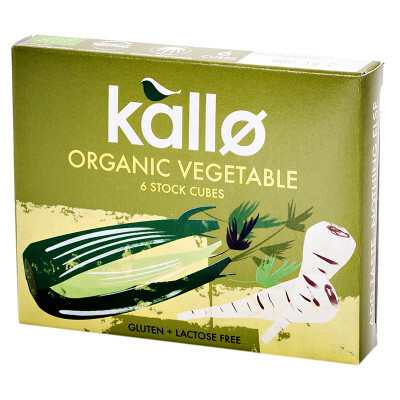 This veggie stock cube adds concentrated, healthy vegetable flavour to your food. The stock vegetables that lived on the farm, were cool and laid back, placid and calm. They liked to stay home and play on their drums, and rarely went out with their fruit and veg chums. But they always went wild when they played in their band, and they rocked out in veg plots all over the land. 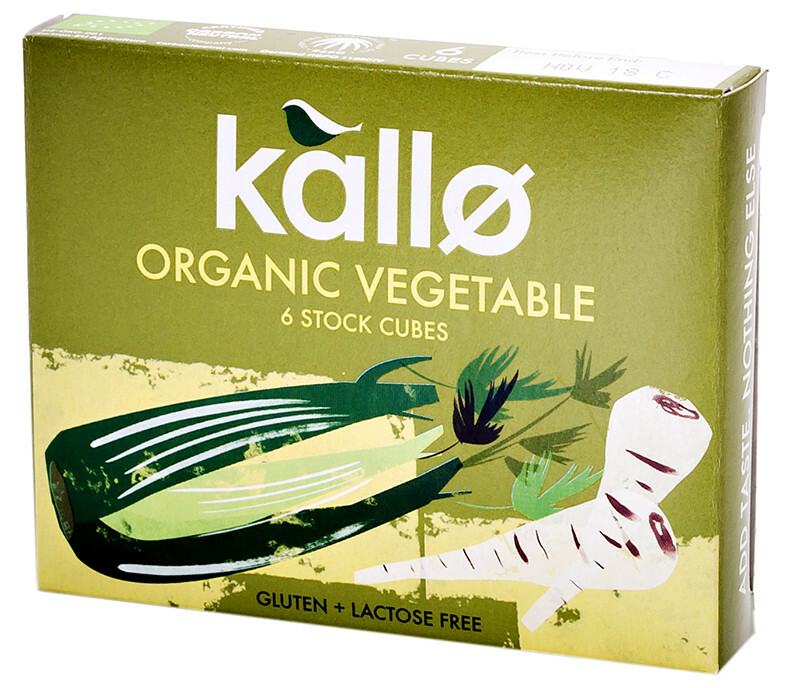 We really enjoy the flavor of all Kallo stock cubes and use them when cooking soups, rice, or other grains. The only downside for us was a few of the ingredients. Really tasty flavour combo to spruce up your cooking. We love a cube added when cooking quinoa, rice or pasta. Awesome that it is organic with no nasty ingredients. Not sure I like the cubes, I prefer being able to measure out a stock powder. Great flavour, great ingredients, great texture.